DevOps can be a challenge especially for developers starting out with it. But a new Basic Process in Azure DevOps aims to pare down the more complicated methodologies. On an April 2019 Microsoft video explaining how Basic Process works, Dan Hellem, program manager on the Azure DevOps team, told viewers that the goal is to not only attract engineers to the product but also keep them as loyal users: "We’ve been talking about putting out the Basic Process for several years. Looking at it from the perspective of a new person coming into Azure DevOps, we have three processes: Agile, Scrum and CMMI [Capability Maturity Model Integration]. The problem with those processes is they are very methodology heavy." In a February 2019 blog introducing Basic Process, Hellem noted that Agile is the most popular of the three processes but even it can be difficult for newcomers. "The Agile process still brings a set of concepts and behaviors that are not obvious to our new users and therefore some of those users have a hard time understanding Azure Boards (Basic Process)," he wrote. "For example, the four-level backlog hierarchy or the many state transition rules. These add complexities that new users don’t care about. New users come from tools such as GitHub with very simple work tracking, and they want Azure Boards to be just as easy." In the video, he imagines how Azure DevOps may seem to the first-time user: "So if I’m a new engineer and I’m working with GitHub stuff and I come over and want to use Azure DevOps, are you really going to make me work with product backlog items and user stories and all those weird those weird terminologies? What we found is that when engineers start using the product, they start dropping off because it is just too complicated. We want engineers to use the product, so what we did is get rid of the baggage like Agile and Scrum and CMMI. We wanted to make it easier to work with so engineers can start working with it and start getting things done." To achieve their goal the Azure DevOps team reduced the scope of the process to get down to the basics, Hellem explained in his blog. "To start we reduced the number of work item types down to three: Epic, Issue, and Task. By default, users can start right away by adding Issues to their board. You will notice that the board contains 3 columns. To Do, Doing, and Done. This simplified state model is used for all three work item types." Work item types in Agile, Scrum and CMMI contain many extra fields that are not needed for someone starting out, Hellem explained. "Our research shows that many users get confused by all of the extra fields and their purpose. In the Basic Process, we kept only the core fields and removed the rest. Only fields that are required to support other functionality survived." 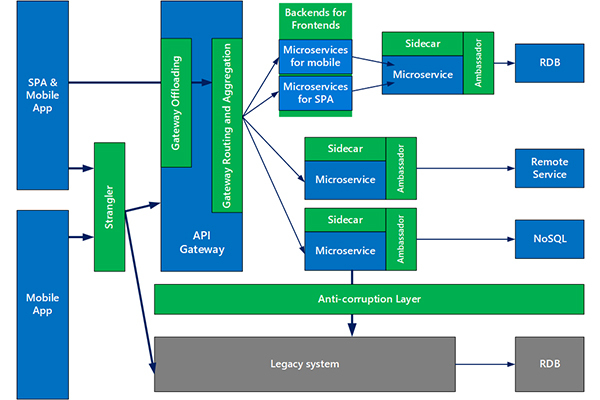 Hierarchy is the last area the Azure DevOps team simplified in the Basic Process. "Instead of four levels, Basic starts with just two," Hellem explained. "Users will start with Issues, and those Issues can be broken down into Tasks. For more advanced scenarios, issues may not be enough. Some users may want a way to group their issues into specific deliverables. For these users we are providing the Epic work item type." Beyond his blog, Hellem encourages developers to read the documentation published in January 2019, Start using Azure Boards (Basic Process). Talk about simple, the documentation only takes about two minutes to read. It’s been a busy few months for Azure DevOps. In March, Microsoft announced the commercial release of the new Azure DevOps Server 2019. "DevOps Server 2019, used for developer collaboration, is the company's rebranded successor to Team Foundation Server 2018," explained Kurt Mackie, in an Application Development Trends (ADT.mag) article on the announcement. "Azure DevOps Server 2019 is notable for having a redesigned user interface that follows Microsoft's Fluent design concepts," Mackie explained. "Developers get access to various services, such as Azure Pipelines for continuous integration/continuous development across different languages and platforms. It has an Azure Artifacts service for package feeds and project tracking via the Azure Boards service. Testing is supported by the Azure Test Plans component. The server also works with the Azure Repos service to integrate with Git repos." If you think DevOps isn’t that interesting, think again. For DevOps specialists, job satisfaction is high and so is the pay. A survey of 88,000 developers around the world, released April 9 by Stack Overflow, found that people who know DevOps are well paid and happy in their work. If you want to check out all the DevOps survey results, it’s available here. Want to get on the DevOps bandwagon? One of the highlights at the upcoming VSLive! in Boston, happening June 9 through 13, will be an special track on DevOps. See what the track description offers. DevOps in the Spotlight: You have a role to play when it comes to DevOps, and in this track, you'll learn the about the tools, techniques, and concepts that you can immediately apply to your daily work. Azure Databricks: What Is It and What Can You Do with It? Collaboration, productivity and data are what Azure Databricks is all about. Data, of course, is everything. How many F150 trucks did Ford build this year? What is the patient’s heart rate and blood pressure? Where can we find sushi at this time of night? The iPhone in your back pocket is filled with data and searching for more. How does that data get organized so you can find it when you need it? Machines do a lot of that work. But people working in collaboration with other people and other machines make the data driven world go around. Azure Databricks is a collaboration between Microsoft and the creators of Apache Spark, which is described on its homepage as an "analytics engine for big data processing, with built-in modules for streaming, SQL, machine learning and graph processing." Databricks, the company created to commercialize Spark, "provides a Unified Analytics Platform for data science teams to collaborate with data engineering and lines of business to build data products," the company states. "Users achieve faster time-to-value with Databricks by creating analytic workflows that go from ETL and interactive exploration to production. The company also makes it easier for its users to focus on their data by providing a fully managed, scalable, and secure cloud infrastructure that reduces operational complexity and total cost of ownership." In announcing the collaboration with Databricks in 2017, Microsoft touted Azure Databricks as "a fast, easy and collaborative Apache Spark-based analytics platform that delivers one-click setup, streamlined workflows and an interactive workspace. Native integration with Azure SQL Data Warehouse, Azure Storage, Azure Cosmos DB, Azure Active Directory and Power BI simplifies the creation of modern data warehouses that enable organizations to provide self-service analytics and machine learning over all data with enterprise-grade performance and governance." 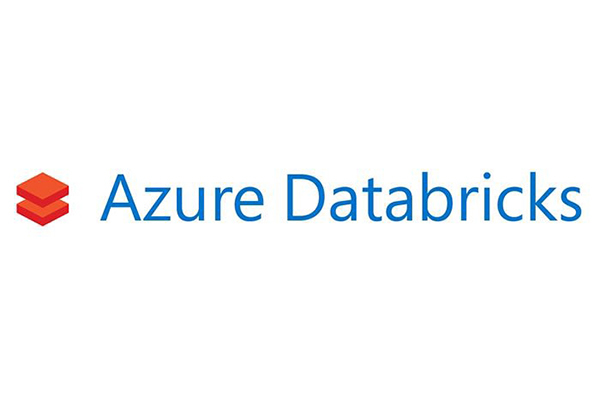 In a Microsoft overview of Azure Databricks, the company explains its value-add: "Azure Databricks features optimized connectors to Azure storage platforms (e.g. Data Lake and Blob Storage) for the fastest possible data access, and one-click management directly from the Azure console. This is the first time that an Apache Spark platform provider has partnered closely with a cloud provider to optimize data analytics workloads from the ground up." So here’s this extensive set of data tools, what can you build with them? In January, Databricks provided answers from data industry thought leaders, who focused on the need for solutions to issues organizations face with AI, Big Data and Analytics. Kamelia Aryafar, chief algorithm officer at Overstock, sees deep learning, which is a class of machine learning algorithms facilitated by the Spark technology, paying dividends for organizations. "Deep learning innovations will create a lot of new AI applications, some of which are already in production and making massive changes in the industry," she is quoted as saying. She noted that Overstock is currently using deep learning to improve marketing projects such as email campaigns. Other thought leaders quoted by Databricks see the need for the latest data tools to be used to improve long-standing issues including data processing and providing trusted data with "Explainable AI." Because of the social, economic and commercial implications of the data being generated, "it is critical to develop AI that is explainable, provable and transparent," said Mainak Mazumdar, chief research officer at Nielsen. Databricks CEO and co-founder Ali Ghodsi finds data processing to still be a challenge in the AI era. "As an industry we tend to believe that data scientists are spending the majority of their time developing models, shares. Truth be told, data processing remains the hardest and most time consuming part of any AI initiative. The highly iterative nature of AI forces data teams to switch between data processing tools and machine learning tools. For organizations to succeed at AI in 2019, they have to leverage a platform that unifies these disparate tools." Reading between the lines, Databricks provides the platform companies need to leverage. Healthcare is an area where AI can be used to parse patient data to provide diagnostic and other assistance to medical professionals. Last June, Databricks announced that it has been working with pharmaceutical and healthcare providers "to improve their drug discovery processes." "One such customer, the Regeneron Genetics Center (a wholly-owned subsidiary of Regeneron, a leading biotechnology company), has sequenced over 300,000 consented volunteers and paired their de-identified genetic data with de-identified electronic health records to uncover actionable insights for drug discovery and development,” Databricks said in the announcement. Jeffrey Reid, PhD, Head of Genome Informatics at Regeneron, was quoted as saying: "As this dataset has grown rapidly, we encountered significant barriers in simple tasks, like gathering all of the data for a given analysis, and querying the 10s of billions of results from our studies. Not only has the Databricks Unified Analytics Platform solved these big data problems, but it is enabling everyone in our integrated drug development process – from physician-scientists to computational biologists – to easily access, analyze, and extract insights from all of our data. Drug development is still a long and difficult process rife with failure, but we have already significantly reduced the amount of time it takes to generate important early insights." The .NET bandwagon is rolling and this may be the time to jump onboard and get up to speed on all things .NET. 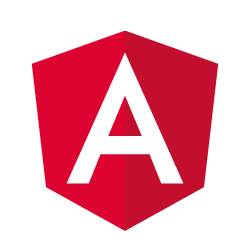 There's so much to learn about .NET Standard, .NET Core, .NET Framework, Mono, and Xamarin. Plus you need to look to the future of C# and Roslyn, so you know how everything will come together with Visual Studio and Visual Studio Code. 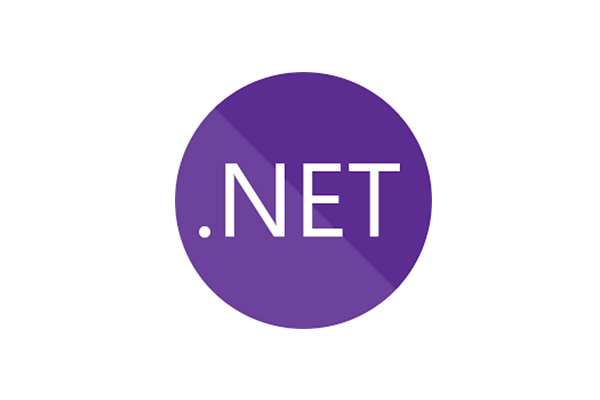 As an article in Visual Studio Magazine noted recently .Net Core, the open source, cross-platform alternative to .NET Framework, is increasingly becoming the runtime of choice for C# coders, according to a survey of developers. Released two years ago, usage has increased since the advent of .NET Core. 2.0 one year ago. "Microsoft advises that .NET Core be used for certain specific projects -- including highly scalable Web apps, Web apps on Linux or self-contained deployments -- while .NET Framework remains the best option for Windows-only projects," writes David Ramel, editor of Visual Studio Magazine. For C# programmers using Visual Studio, Microsoft provides a simple tutorial, Build a C# Hello World application with .NET Core in Visual Studio 2017. Following the online instructions and screenshots, it looks like a pretty straightforward way to get started even though "Hello World" is not the equivalent of a mobile banking app. For .NET overall, the developer community is growing by leaps and bounds since it was open sourced in 2015. Another Visual Studio Magazine article, James Montemagno on .NET 'Everywhere for Everyone' backed up what seems at first to be an extravagant claim. Montemagno, who serves as Principal Program Manager in Microsoft's Mobile Developer Tools group, gave a keynote speech at the Boston edition of the Visual Studio Live! Conference this past month where he called .NET "a vast, open, constantly growing, and ever-evolving ecosystem." He noted that millions of developers are leveraging .NET to build applications for virtually any platform. "This is the best time to be a .NET developer," he told the audience. The .NET ecosystems needs new developers, Montemagno told Visual Studio Magazine, and Microsoft wants to nurture a growing community with easily accessible educational resources. "It has never been easier to get started with .NET and C# or any of the other languages," Montemagno said. He suggested going to Microsoft's .NET Web site where "interactive online learning experiences" are available for free to anyone interested. "Those are the types of experiences that are going to enable the next generation of developers," he said, "right there in the browser, ready to go." While C# is getting all the coverage, .NET developers can work in almost any known programming language. On a Microsoft Channel 9 YouTube video, The Future of .NET, a panel of .NET aficionados noted that Fortran and COBAL code is being ported to .NET as banks and other businesses seek to move from mainframes to more modern metal. Security being top of mind these days, security expert Brock Allen will present a session titled "Modern Security Architecture for ASP.NET Core," at the September 17-20 Visual Studio Live! conference in Chicago. It’s designed to help developers get up to speed on the main components in ASP.NET Core for securing Web applications and Web APIs when using the open-source and cross-platform framework for building cloud based internet connected applications. In Top Tips for Securing ASP.NET Core, an interview this month in Visual Studio Magazine, Allen gives a preview of his upcoming session explaining the security architecture that is important for those working with the framework. Roslyn is a code name for the .NET Compiler Platform, and according to a Wikipedia article, may be the namesake of Roslyn, WA, or Roslyn, the Alaska town where the Northern Exposure TV series was set. Whatever the inspiration for the code name, it is "a set of open-source compilers and code analysis APIs for C# and Visual Basic .NET languages." It is designed to end the frustration developers have faced with “black box” compilers by exposing the APIs. 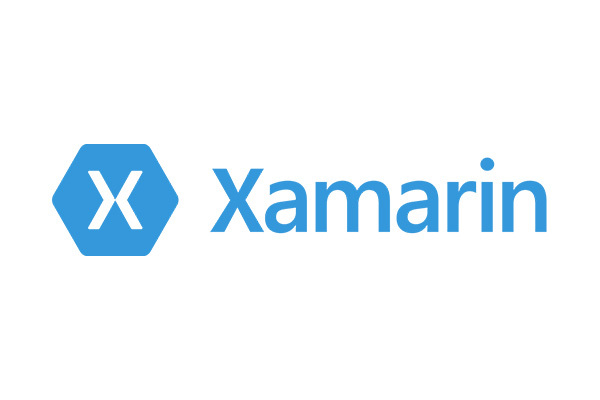 Xamarin tools share the C# codebase and are used "to write native Android, iOS, and Windows apps with native user interfaces and share code across multiple platforms, including Windows and macOS," according to a Wikipedia article. Mono is an open-source project piloted by Xamarin, a subsidiary of Microsoft, and the .NET Foundation. It is designed for running .NET applications cross-platform including "Android, most Linux distributions, BSD, macOS, Windows, Solaris, and even some game consoles such as PlayStation 3, Wii, and Xbox 360," according to Wikipedia. If you’re a beginner in DevOps and you can’t figure out how to learn it on your own, don’t worry. DevOps is not about doing things on your own. It’s a team sport. Thinking of doing DevOps on your own is like thinking you could play football on your own. What are you going to do? Throw the football up in the air, run under it and catch it? One of the keys to learning DevOps is to think about application development in terms of teamwork. Here’s how Abel Wang, in a keynote at a recent VSLive! conference, explained how Microsoft's DevOps journey evolved when the company made the decision to give up its traditional waterfall approach to development. 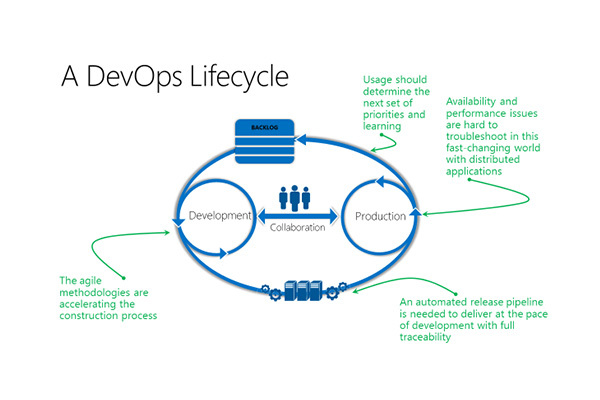 He began with Microsoft’s definition of DevOps as "the union of people, process, and products to enable the continuous delivery of value to our end users," according to a report on VisualStudiomagazine.com. It was a cultural change as much if not more than a technology change. My colleague John K. Waters, explained it this way in his report on Wang’s talk. The new team structure now recognizes only two roles: program manager and engineer. The program manager is roughly the equivalent of a product owner in the Scrum process. Everyone else is an engineer, with no distinctions between developers and testers. Also, restructured: the teams themselves, which had operated in segregated environments: UI developers worked on the UI layer, for example, while database people worked on the database layer. 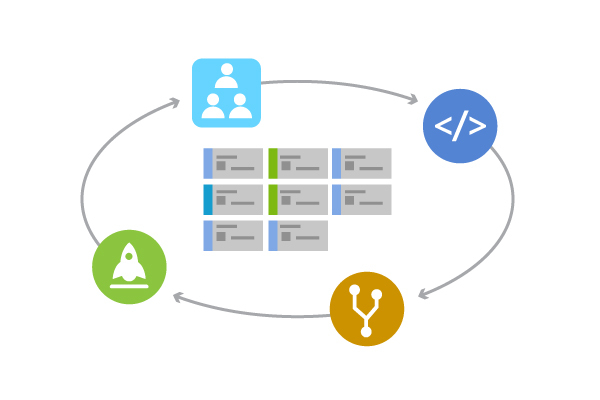 The restructured teams now own the entire feature set from beginning to end, including the UI layer, the data layer, and the database itself, as well as installation, deployment, and quality. Even the workspace was reconfigured: individual offices were replaced by team rooms, where everyone works together, including the program managers. So if you’re going to begin a career in DevOps, you have to have programming and testing skills, but mostly you have to give up on the idea of the lone coder sitting in a dark concrete block room working on an app. That is not what DevOps is about. If you are a tester, you’re going to have to learn programming skills you may not have and vice versa if you’re a programmer. No one, least of all Wang, says this is easy. "Developers traditionally make incredibly bad testers," Wang pointed out in his keynote. "And testers traditionally make very bad coders. So how did we do this? We trained our people and we required them to adapt...."
Considering the talent and brainpower of the average Microsoft employee, it is a gauge of how difficult this was that the attrition rate on Wang’s team was 20 percent. But on the positive side 80 percent adapted to being engineers who could go with the DevOps flow. "It was incredibly painful," Wang recalled. "We suffered a lot of attrition from all sides -- management, developers, testers -- because the new way of looking at things and doing things was very different from the way we did things before. And we all know no one really likes change. But if there's one constant in our industry it's change." IBM has its own take on DevOps and even offers a free eBook, DevOps for Dummies, written by Sanjeev Sharma and Bernie Coyne. Sharma also has a series of video blogs including, DevOps: Where to Start on YouTube. This video is designed to provide an overview for folks who basically know what DevOps is but want to actually implement it in their organizations. He considers the team members with different roles as stakeholders in the overall project who need to collaborate as software moves, for instance, from developers to tester to operations, which is basically the DevOps lifecycle. He acknowledges that there are going to be pain points, for example, testing becoming a bottleneck. As can be seen in the different approaches of two giants of the computing world, DevOps, which has only been around as a concept since 2007, is not a paradigm with hard and fast rules that can be employed by everybody everywhere. For the individual going to work on a DevOps team, where to start may depend on whether your organization is taking an egalitarian approach where you may have to do programming, testing and perhaps go get takeout pizza. So individual skills required will vary. 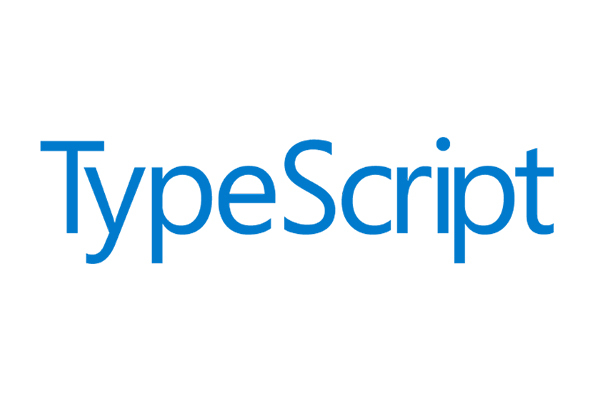 In a Microsoft type system, you may need to become a generalist with coding and testing skills. Following the IBM path, you might specialize in an area such as Integration Testing. If no one in your organization has DevOps background or skills there are lots of vendors who are willing to help you. 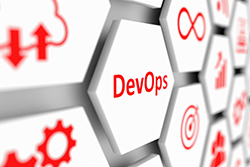 But since there are different approaches to DevOps it will be important to make sure the selected vendor’s practices jive with your organization’s culture. Of course, one place to acquire skills is at VSLive! That’s where you can tap the brainpower of experts like Microsoft’s Abel Wang. This blog started to answer the question: How do you get Agile certified? But that turns out to be the easy question. A Google search turns up plenty of universities and training organizations willing to teach you so you can get certified for a price. The Project Management Institute offers an Agile Certified Practitioner (ACP) certification program. Villanova University offers education and certification programs including Certificate in Agile Management, which it states “is the only comprehensive Agile program offered 100% online by a top-tier university.” It also offers a Professional Certification in Agile & Scrum (PCAS). So finding ways to get Agile credentials is a Google search away, but there are other questions including why go after these certificates? Of course, most developers want to keep their skills current so they are in demand for top projects and top organizations. Perhaps the best bottom line answer comes from Mark J. Balbes, Ph.D., the Agile Architect at ADTmag.com. In Agile and CMMI: Tips from the Trenches, he explained why his company sought Capability Maturity Model Integration (CMMI) certification: “Frankly, it's for the money.” He explains that his “project shop” works on government contracts that increasingly required that credential, so it was a practical business decision. Developers working in organizations or freelancing in the gig economy will probably understand that level of pragmatism. Beyond the Business 101 reason for getting Agile certifications, Balbes is an advocate of embracing Agile and getting the training you need. In The Survivor's Guide to Agile, he suggests: “Learn what it means to truly be agile and start thinking about your work in those terms.” To learn to think in Agile terms, you’ll need training. Balbes advocates being aggressive in getting the training you need. A key point that Balbes makes is that while learning about new Agile practices is important, unlearning old practices is equally important. That is, while there is value in the items on the right, we value the items on the left more. To make sure you have the philosophy supporting these points, it is good to read the brief but deep 12 Principles behind the Agile Manifesto.